Cuba is the country of salsa and everywhere you go, you will hear the sounds of salsa music coming from radios in the streets and houses with open doors and windows. Would you like to learn some salsa steps yourself? 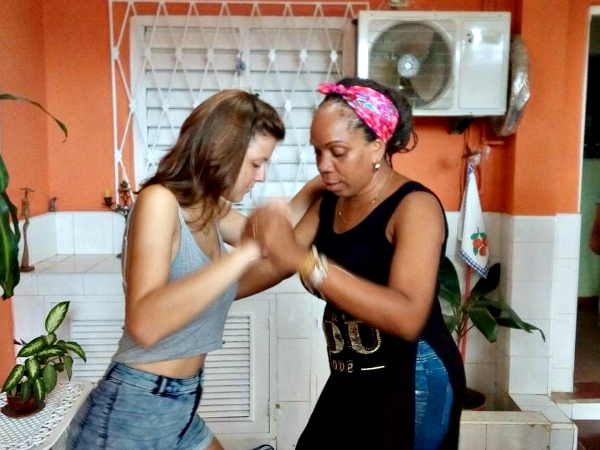 So you can try out your moves on the dance floor, in Viñales or in the next places you will be visiting in Cuba? We can arrange a salsa lesson for you, to get your hips and feet moving with a bit more confidence! Mamuchi was born and raised in Viñales. She is 33 years old, has two beautiful children and lives together with her husband in Viñales. An important part of her life is dancing, especially salsa. 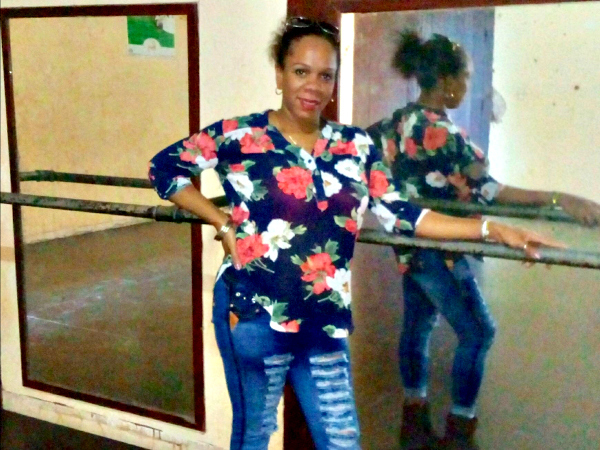 With offering salsa classes we help her and her family with some income; and you with your dancing skills! 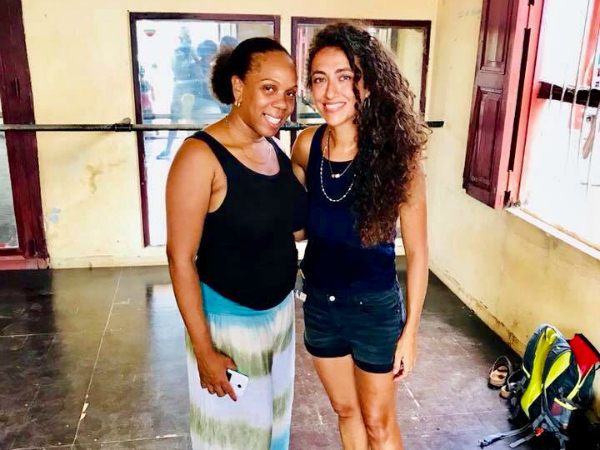 Mamuchi teaches salsa classes that last one hour. The lessons take place in a cultural center right at the main town plaza of Viñales, so in a very central location. The classes will be taught in (basic) english. Would you like a longer class? One and a half or two hour classes are possible as well. All levels of dancers are welcome, from absolute beginners to more advanced dancers. The size of the group will depend on the day; sometimes more people sign up for the same say and classes can have a maximum of about five or six people. But on many days, the classes will be private just for you! Do you wish to come with a group and do a class? Of course this is possible as well, just contact us and we’ll let you know the possibilities. 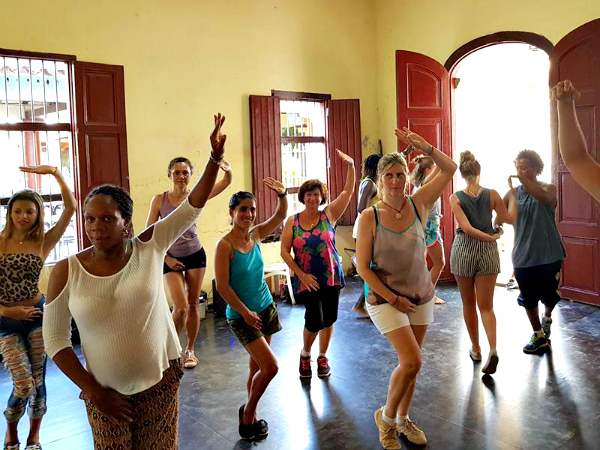 The classes are salsa lessons, in the typical cuban style. 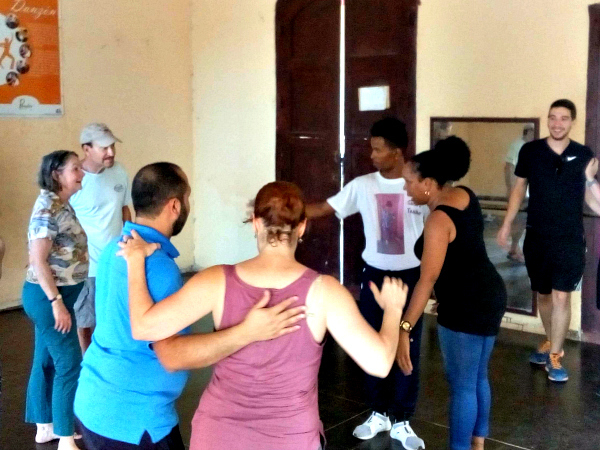 Would you like to follow a class for a different style, like bachata, rueda de casino or merengue? Just let us know as this is possible as well; then we will make a special program for you with Mamuchi.